On 12 Mar 2019, Medicines and Healthcare products Regulatory Agency (MHRA) issued guidance on qualified person responsible for pharmacovigilance (QPPV) including pharmacovigilance system master files (PSMF) if the UK leaves the EU without a deal later this month. 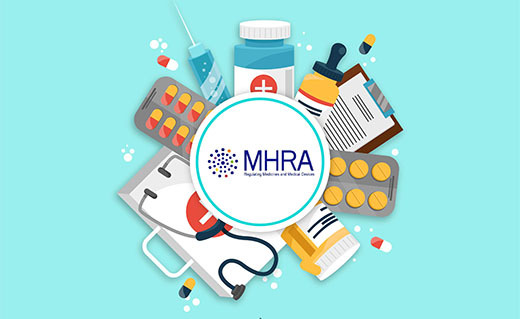 The MHRA insists the Marketing Authorisation Holders (MAH) in the UK to have a pharmacovigilance (PV) system, appoint a UK-based qualified person responsible for pharmacovigilance (UK QPPV) and to maintain a pharmacovigilance system master file (PSMF) for their products authorized in UK. The annexes of the PSMF should be specific to UK-authorised products. The UK QPPV‘s role and responsibilities will be equivalent to that of the EU/EEA QPPV. The UK QPPV has to be UK-based and is responsible for the establishment and maintenance of the PV system. There shall be a single point in the UK for PSMF (electronically or physically) and shall be permanently and immediately available for inspection at the stated location. There will be no change in the requirements for the format and content of the UK PSMF and the EU PSMF. MAHs can have more than one PV system or a PV system can be shared by several MAHs. However, the UK PSMF must describe the global PV system and reflect the global availability of safety information for UK authorised products. 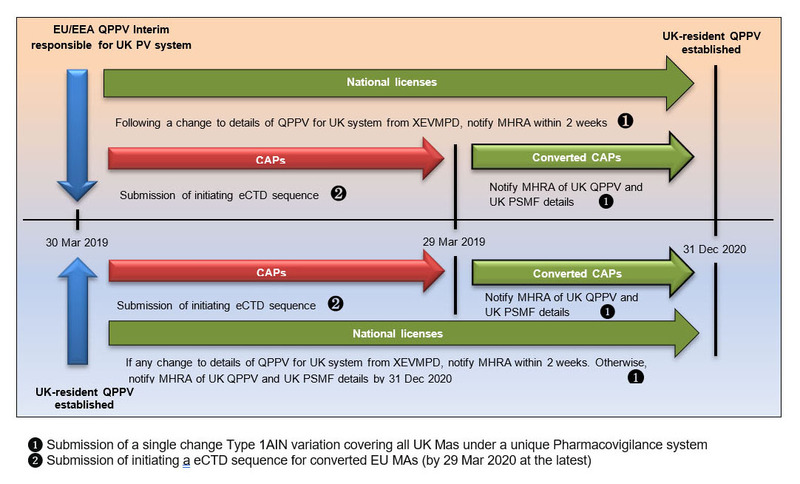 At the time of the next update to the summary of pharmacovigilance system (SPS) for your UK product licences (PL) via submission of a variation application, MAHs should request a unique UK PSMF number from the MHRA for each PV system they are operating. If the PV system is shared by several MAHs, a single request for a UK PSMF number should be submitted. The UK PSMF number request form will be available on the MHRA website from 30 March 2019. A unique UK PSMF number will be received by email within 10 working days. All UK Marketing Authorisations (MA) must include a summary of the holder’s PV system including UK PSMF number. Applications to update the Summary of Pharmacovigilance System (SPS) are required to be submitted via the MHRA Submissions portal. MHRA is expecting a large volume of regulatory submissions in case of UK leaves EU. MAHs should submit SPS updates as single changes and, to prevent delays, collections of no more than 25 Product Licences (PL) should be submitted. MAHs should provide the documentation including summary of the PV system (proof of UK QPPV and UK PSMF), or update of the relevant elements, as applicable. Failing to provide required documentation may lead to a rejection of the submission. On the Brexit day, if the identity, location and contact details of the UK QPPV are identical to that of the EU/EEA QPPV, no immediate action is required to notify the licensing authority. A single change Type IAIN - C.I.8.a variation covering all UK PLs under a unique PV system should be submitted by MAHs within two weeks of a change of identity, location or contact details of the UK QPPV. The UK QPPV must be established within 21 months of exit day. MHRA states that all existing MAs authorised through the centrally authorised procedure will automatically be converted into UK MAs and issued with a UK MA number on 29 March 2019. Starting on Brexit day, MAHs will have a period of one year to submit the initiating sequence data and related information in eCTD format (by 29 March 2020 at the latest). Would you like to be notified when a new pharmacovigilance blog get published? 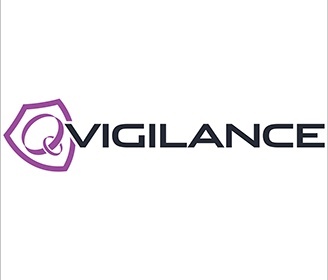 Subscribe to the QVigilance blog and get updated as soon as a new article is out!